UbiElife offers a full range of custom IT development services for small and medium businesses. A well-designed website not only represents your brand image but also builds your reputation and credibility. It provides 24/7/365 access to your potential customers and therefore, significantly increases your chance of success. Moreover, since a website makes it possible to target a wider market, it enables you to keep your customers informed without spending much time. A website also provides a medium on which to showcase your work. Therefore, you can improve your customer service and enhance your sales by sharing customer reviews and interacting with customers online. As a professional IT company, UBIELIFE provides customized website development services, which brings unlimited benefits and possibilities to your business. The more professional your website is, the more advantages you gain. Feel free to let us know your thoughts by sending us an email or give us a call. Countless global surveys show that people spend over two hours on their mobile phone per day on average around the world. In other words, a mobile phone and the embedded mobile APPs are becoming one of the most indispensable parts of human life. Since mobile APPs are visible to customers at all times, they create a direct marketing channel right at their fingertips. 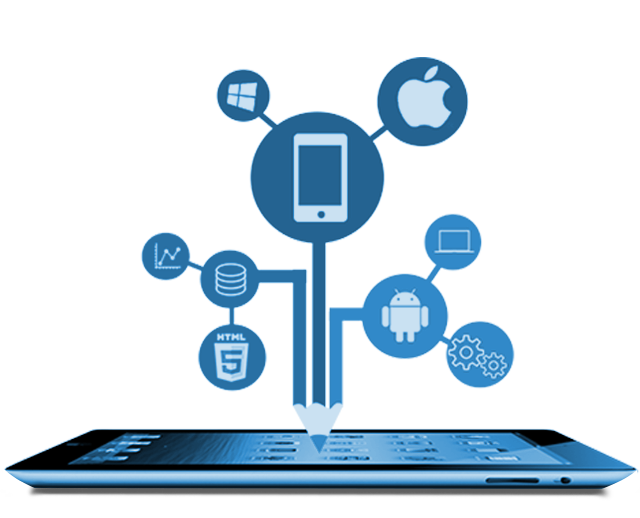 Supported by a great tech group, UBIELIFE provides all kinds of mobile app development as part of our Digital Marketing Services. All the development services can be customized based on your business and requirements. Ask us for more details today and be the first in your neighbourhood who offers a mobile app to your customers. They’ll be astonished by your forward-thinking approach! User interface design (UI) is the design of user interfaces for machines and software, with the focus on creating nice visual and user-friendly interfaces. UX design is the process of designing (digital or physical) products that are useful, easy to use, and delightful to interact with. A good UI UX prototype design defines a good product and therefore is essential to a business. A clear and straightforward UI/UX design is also necessary for the development team to create your exact desired product. UBIELIFE has a high-performing self-managed team who can provide UI/UX designs with Prototyping as fast as we can to make you feel your product and achieve what you want. Let’s turn your imagination into reality! Give us a call. If you have concerns about the budget of creating a website from scratch, Wix and Squarespace might be your wise choice. It’s the fastest way to create stunning websites for small businesses. Don’t worry if you don’t know how to start. We’ve got you covered. A free UBIELIFE consulting is included for this service. We are ready to offer you a targeted and user friendly web templates to boost your business. E-commerce is the trading and facilitation for products or services using computer networks, such as the internet or online social networks. E-commerce draws on technologies such as mobile commerce, electronic funds transfer, supply chain management, internet marketing, online transaction processing, electronic data interchange, inventory management systems, and automated data collection systems. UBIELIFE is proud to provide professional E-commerce consulting services and solutions to help your business growth. Business applications are moving to the cloud. It’s not just a fad! The shift from traditional software models to the Internet has steadily gained momentum over the last 10 years. Looking ahead, the next decade of cloud computing promises new ways to collaborate everywhere through mobile devices. Thanks to Platform as a service (Paas) providers such as Amazon and Google, we are able to develop and deploy cloud platform based systems. As a result, we can utilize cloud hosting and computing systems to handle big data and complicated analysis. If you have any thoughts or issues on turning your business to clouds, please do not hesitate to contact UBIELIFE for a free cloud platforms deployment consultation!